I want to be clear about one thing involved with SEMA 2018: there are far, far too many lifted and pretty trucks around. You know the types…bro-dozers. Rocker panels at my eye level, wheels that can reflect a vampire’s soul, and such. Not a fan. Not even close. 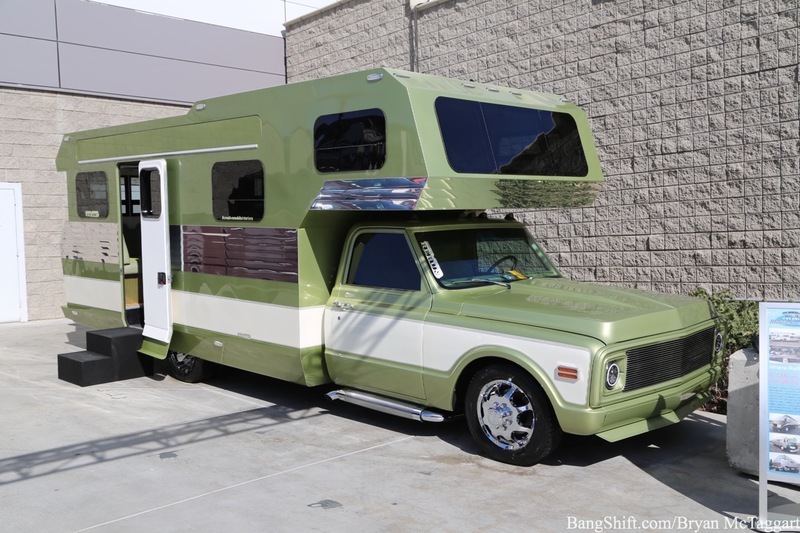 But in order to find this truck, I had to wade through a wide swath of ’em, and I don’t care if it made seeing this 1972 Chevrolet C30 that much better or not, because this customized camper was worth every step taken. 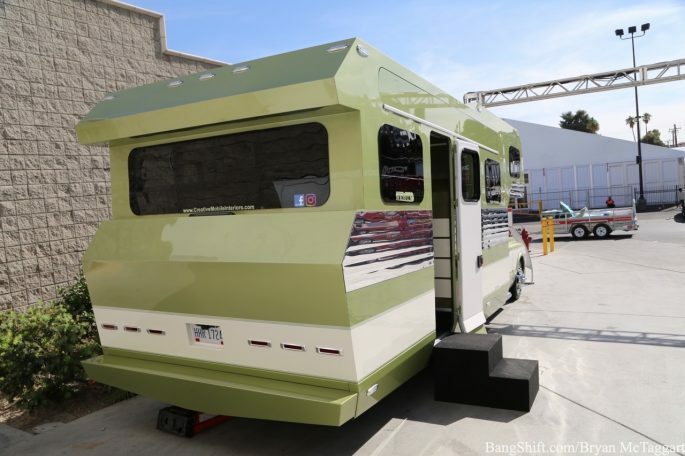 It was almost hidden out of sight, away from a large portion of the show, but that meant that when I found it on Monday that I was able to step inside and check out the work that has been laid into this super-sweet RV. 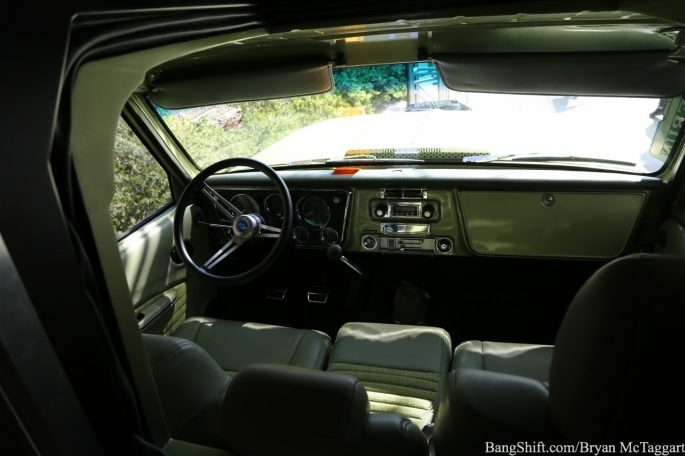 We could talk about the well-built 402 under the hood or the SM465 manual trans that would bring a tear of joy to Lohnes’ eye, but it’s a camper…the interior is the key feature, is it not? 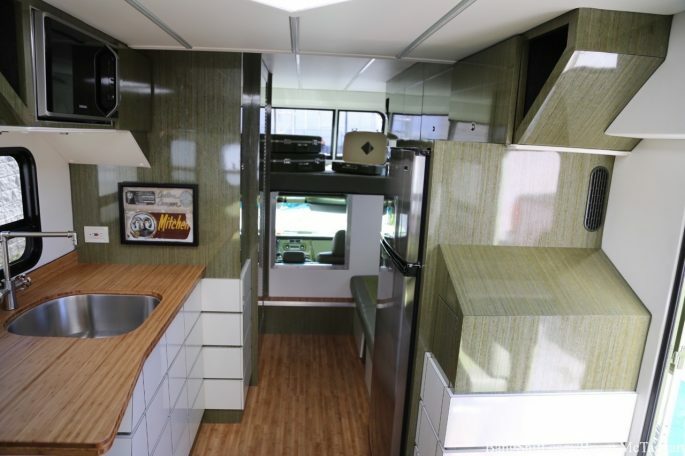 The entire camper is handbuilt from aluminum and is fitted with a full HVAC system, a generator, bamboo counters, a full bathroom, a queen-sized bed, wi-fi and more. There’s a kitchenette, too, because anything trumps picking something from the warming roller at the next fuel stop. And when you’re bedding down for the evening, there is a smart television at the ready. The paint is all PPG and the overall goal is to showcase what CMI can do for any vehicle. I’m honestly amazed that Chad wasn’t actively drooling next to this truck. 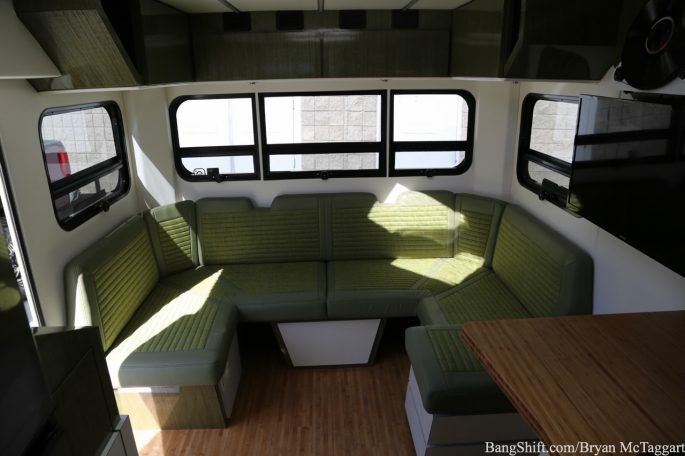 This is what the BangShift Mobile Command Center should look like, right here. What do you think? Here's How to Cut, Drill, And Bend Carbon Fiber Panels For Your Next Build Tetanus Shots For All: The Infamous "Broughammer" Cadillac Is Up For Sale! Yep , I noticed this truck in SBG’s pics . Pretty cool . It truly was hidden away and these pics were before others moved in around it. What I noticed was the lack of rear view mirrors…is there a camera mounted inside the cab? i didn’t notice that until I got home and studied the pics I took of it. It really is bitchin’ and I’d guess the price tag at close to $125k. Looks like a heck of a build, put some of the newer ones to shame.